Capstone season is upon us and there are over 50 Mechanical Engineering teams showcasing their projects at the Expo on April 23rd at the McCamish Pavilion. The Capstone Design course is generously supported by numerous corporate partners and alumni. This weekly article series will highlight a few select sponsors, their projects, and the student teams working on their projects. Siemens sponsored a Mechanical Engineering Capstone Design project during the Fall 2018 semester and decided to implement the process that Team Blade and Vanes created during the Fall 2018 capstone course into their company. Siemens AG is a German company that manufactures products in several industries ranging from healthcare to energy. They are well-known for their groundbreaking ideas and innovations in various business sectors. Problem: Gas turbine maintenance is a complicated process. In order to service vane carriers located underneath the rotor, the entire rotor must be removed from the turbine using a specially-ordered crane. This step in the maintenance process is extremely time-consuming and can cost upwards of $3.2 million in labor, downtime, and equipment rentals. Siemens wants Team Blades and Vanes to develop a design solution that will allow workers to remove the lower half of vane carriers without needing to remove the rotor from the turbine units. Proposed Solution: The most difficult part of designing a solution for Team Blades and Vanes was understanding the size and complexity of the machine. Vane carriers can weigh almost 2,000 kg. To make matters even more difficult, the team had to design their solution without seeing the gas turbine. Vane carriers are shaped like half of a ring and rotate along a track. The team plans to use a “dummy ring” to push out and replace the actual vane carriers. Because the “dummy ring” is the main component of the new process, the team did an analysis to determine what type of material the “dummy ring” should be created from in order to withstand the conditions vane carriers are under. 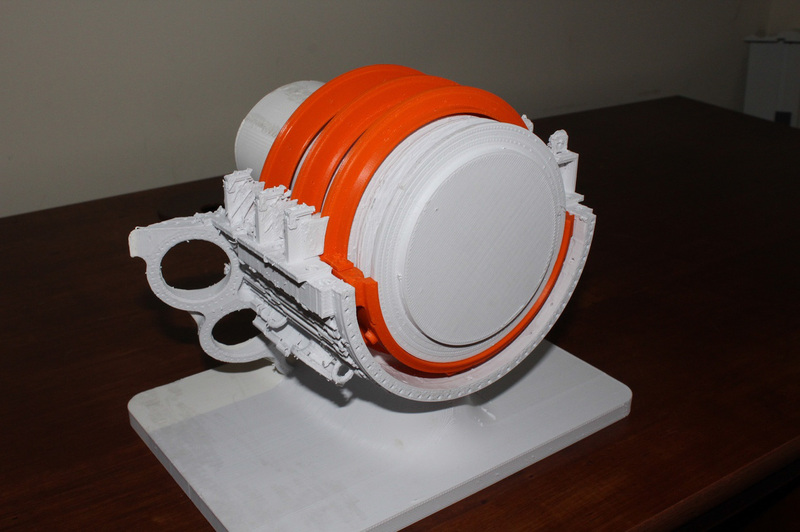 The team was unable to build a functioning prototype due to the large size of gas turbines, but the team created smaller-scaled, 3D-printed models to test the concept. Impact: The original process of removing vane carriers would take 42 hours to complete. Utilizing Team Blade and Vanes’ new process would decrease the amount of hours to replace vane carriers by over 30%. There were also safety concerns associated with the process of removing the motor unit that will no longer be applicable since the vanes can be removed without having to take out the rotor unit. An estimated financial savings of $1 million per turbine maintenance is expected using this new process. After being presented the idea, Siemens has decided to implement the process created by Team Blade and Vanes company-wide. Siemens’ capstone sponsorship allowed them to explore projects where they currently have a lack of manpower. According to one of the senior managers at Siemens, Team Blades and Vanes’ project was “the best presentation he’s seen”. Siemens was impressed with the work and professionalism exhibited by Team Blades and Vanes. Because of the large cost and time savings, Siemens has decided to adopt Team Blades and Vanes solution company-wide. 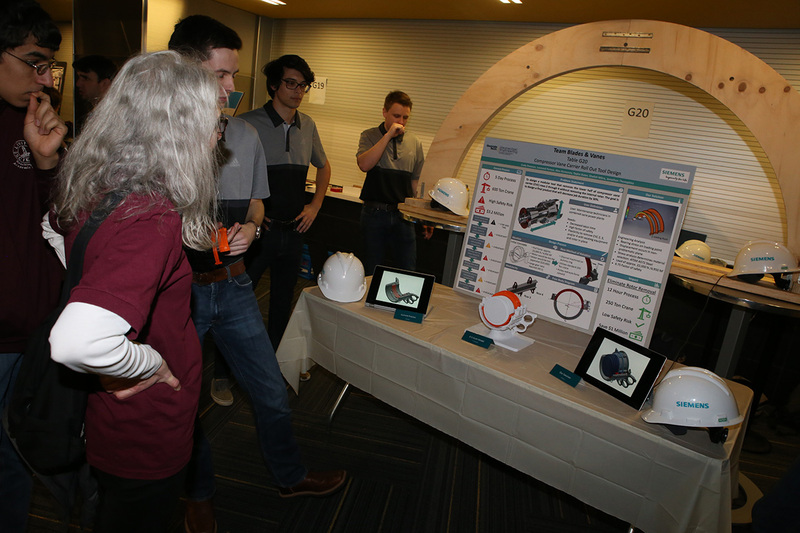 Check out over 200 exciting capstone design projects with real-world impacts at the Spring 2019 Capstone Design Expo on April 23rd at 4:30 pm in the McCamish Pavilion. More information on how to RSVP is on the website. Please invite friends and family to attend and cheer for our graduating seniors. All senior students in Mechanical Engineering culminate their undergraduate educational experience with the Capstone Design course in order to provide firsthand experience at solving real world problems in a team environment. Students typically work in teams of four to six individuals and each team is advised by a faculty member. Companies interested in submitting a project for consideration can contact Dr. Amit S. Jariwala, at 404-894-3931 or via email at amit.jariwala@gatech.edu.